I'm really struggling with one of my sims getting famous. One of them nearly got one stars, then all of a sudden it went back to zero again! Is it possible for their fame to 'decrease' over time? I can't seem to get past one star. Is there a trick to this? 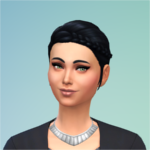 Simstagram helps maintain your contact with the public, but you have to be constantly doing thing to build fame. It decays pretty fast so the motto is fame is fleeting. Here today, gone tomorrow.